The Groundhog's Prediction is in, Let the Savings Begin! 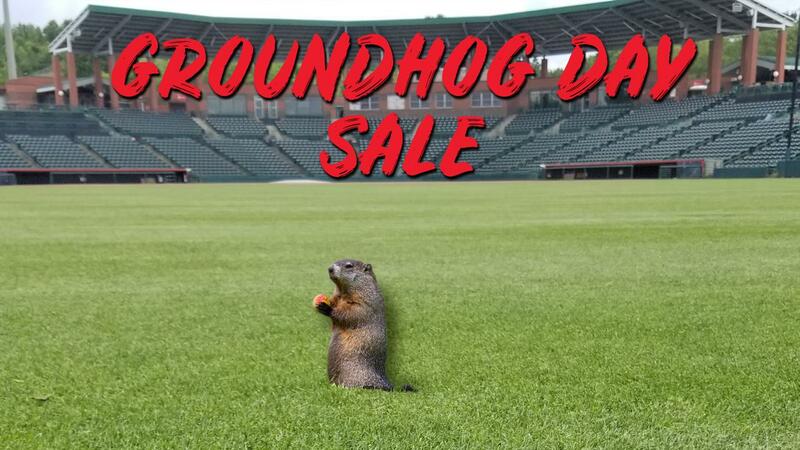 Hickory, NC- The groundhog, Punxsutawney Phil, did not see his shadow on Saturday morning, predicating an early spring and finalizing the details of the Crawdads' Groundhog Day sale. On Thursday, the 'Dads had announced plans for a sale, with the details to be determined by whether or not Phil saw his shadow during Saturday's festivities. As Phil was not able to spot his shadow, suites and party patios in April and May will be 15% off through Wednesday. The group will also receive 5 parking passes for the night of their rental, an autographed baseball (one per group), and a representative from the group can throw out a first pitch. The sale will begin on Monday, February 4th and will run through Wednesday, February 6th. To take advantage of the Groundhog Day savings, call (828) 322-3000 or stop by the Crawdads front office. While it remains to be seen if the groundhog's prediction is right and we are in for an early spring, baseball fans can rejoice in the fact that Opening Night at LP Frans Stadium is only 68 days away.